Our process is simple. Carolina Vistas provides first-rate turf health care, customized for lawns in the Midlands. Carolina Vistas services are based on a foundation of good communication between lawn care professional and client, so you can be assured that we will provide you with the best service and information that you want and need to keep your lawn looking its best. We guarantee our services by providing free service calls upon request. Our process is built on these core principles. Carolina Vistas provides expert horticultural health care, customized for lawns in the South Carolina Midlands. 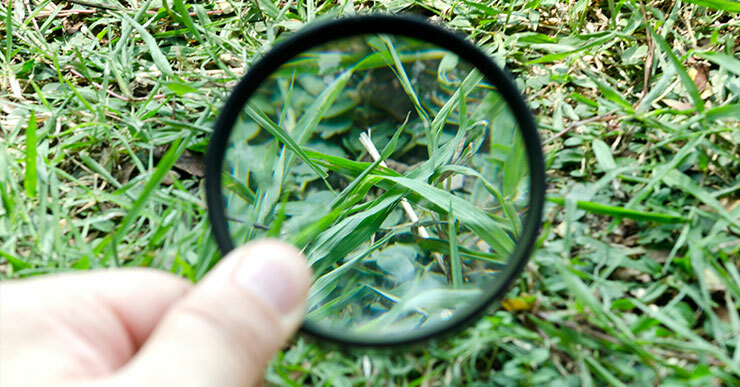 First, we perform a FREE, detailed, analysis of your lawn, including soil conditions, pest and disease identification, water, nutrient and light requirements, and an assessment of cultural practices like mowing and watering. Once we compile a detailed profile of your lawn, our experts will develop a personalized lawn care program to meet your expectations and your budget. Carolina Vistas will perform 7 to 10 scheduled lawn care treatments each year, providing your lawn with what it needs, when it needs it. The number of visits and the type of treatment performed depends on each client's needs, and the type of lawn that they have. Our goal is to provide custom lawn care programs to ensure that your lawn is healthy and beautiful. Carolina Vistas embraces the idea that expert knowledge, combined with rich communication with our clients provides the best lawn care service. After all, we cannot be present on your lawn 24/7. So, communicating our knowledge of your specific lawn care needs with you makes it possible for our experts and our clients to form the best team in home lawn care.